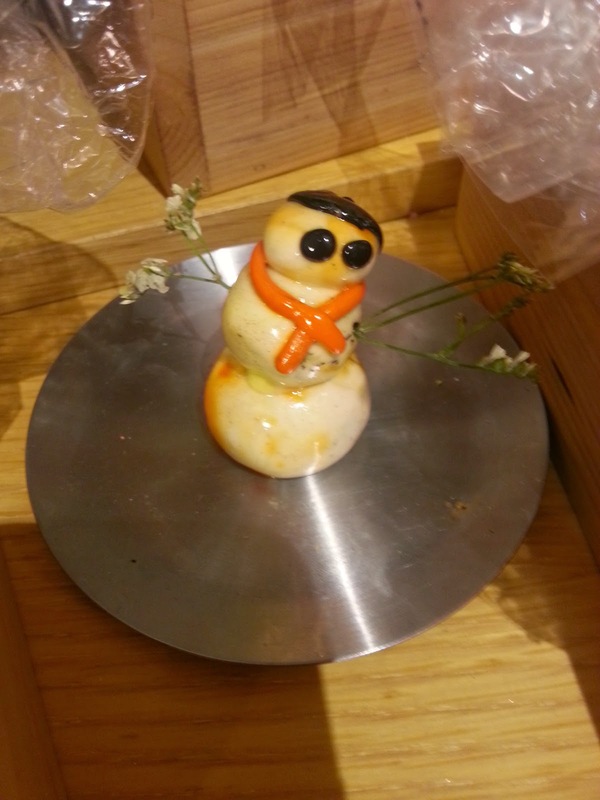 Just last week, I was really lucky to be able to RSVP for a small Christmas Party held at Lush Wisma Atria, and we got to make our own Cinders bath bomb and create cute Snowman with their Fun soap. 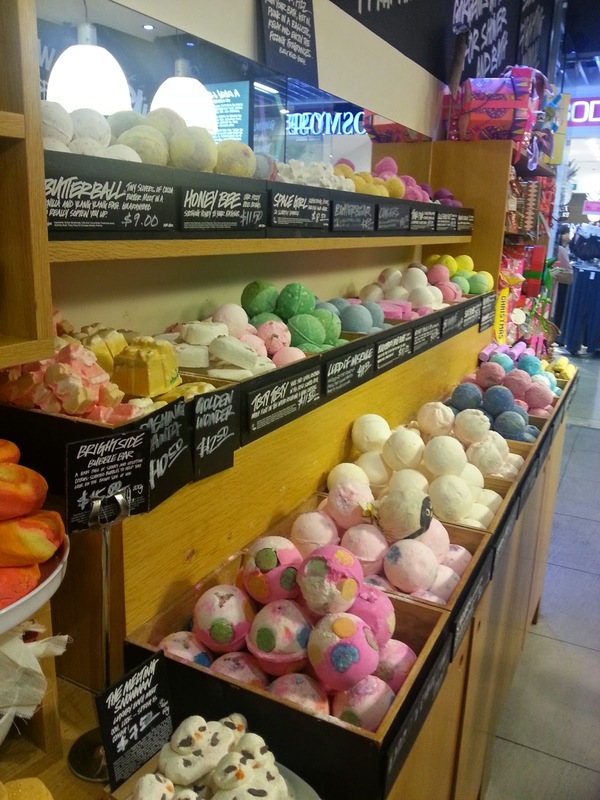 And of course, the event was filled with happy colours and yummy scents of their bath goodies. Seriously all of their soaps, bath bombs and bubble bars can totally pass off as desserts. This is just too cute! And I'm actually thinking of baking sugar cookies in this shape to give friends this Christmas. Don't they remind you of French macarons? Lemon and Lavender flavours. There's another one that looks like Earl Grey and another like Raspberry too. More cuteness in these penguins and snow angels. Man, I seriously need to get myself a bath tub! 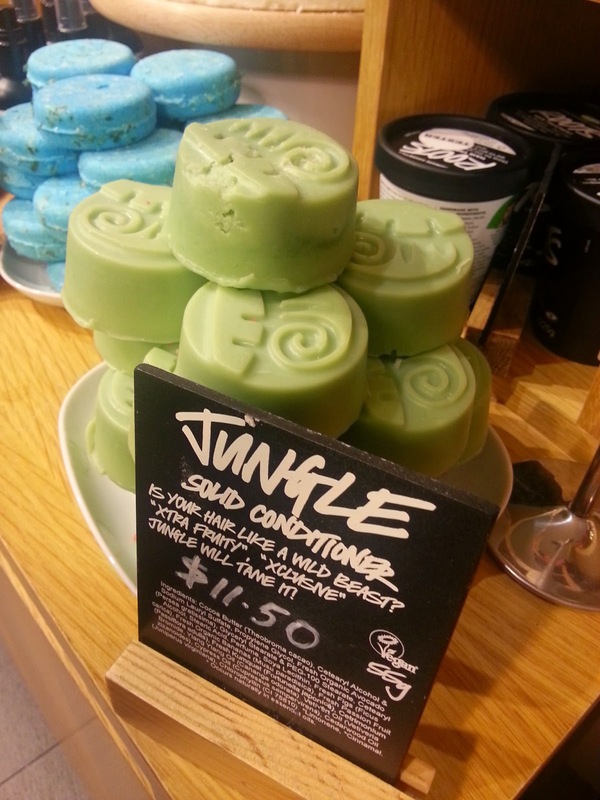 You can also find shampoo and conditioner bars at Lush too! And now, let's get down to business. 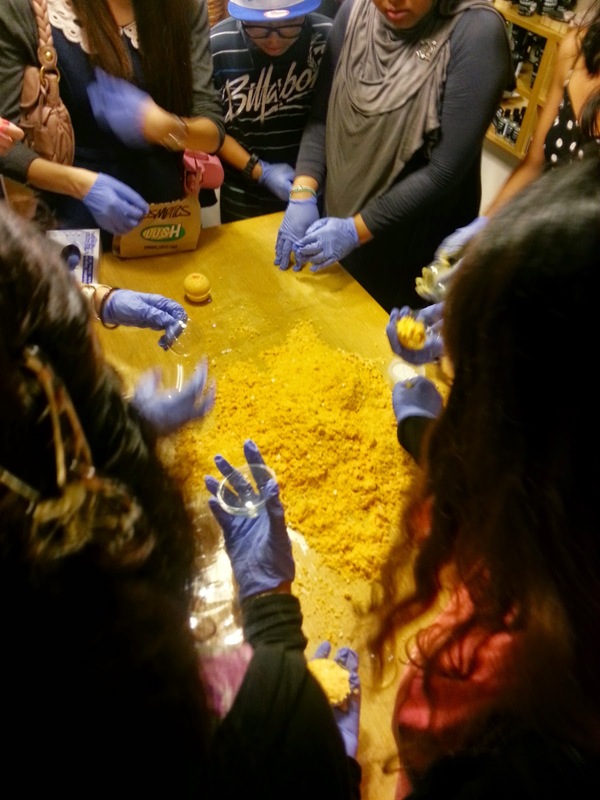 Making our own Cinders bath bomb! 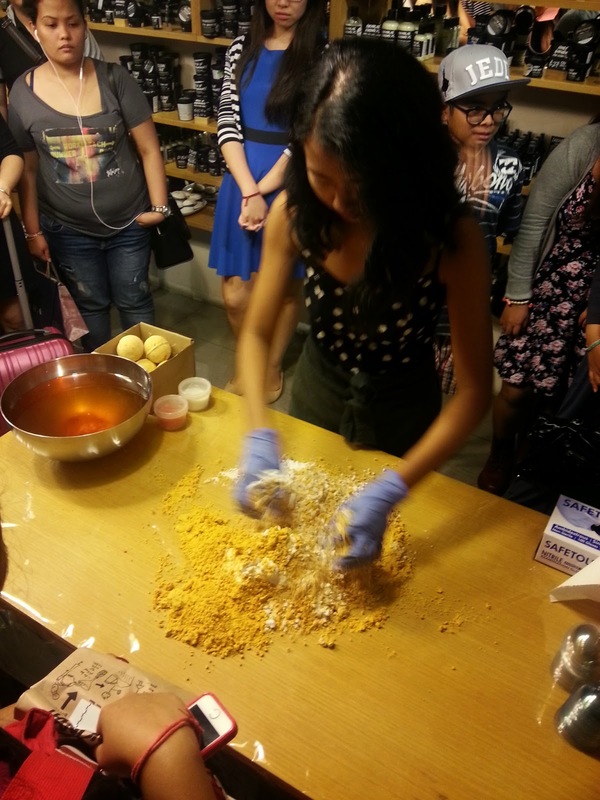 Their bubbly and cheery staff first gave us a demonstration on how to get a pretty, smooth surfaced bath bomb. And the rest of us follow suit. I'm not going to lie to you. It was pretty chaotic. But we still made it! There's mine, Cynthia's and Emily's. Oyhz left hers at the other end of the table, hence not in the bath bomb group picture. Heh! And after we're done with the Cinders bath bomb, a tray of ice-cold Fun soap was brought out on a tray, and it was their Christmas edition. White, black, orange... feels familiar? Yup, you can make a snowman our of it! 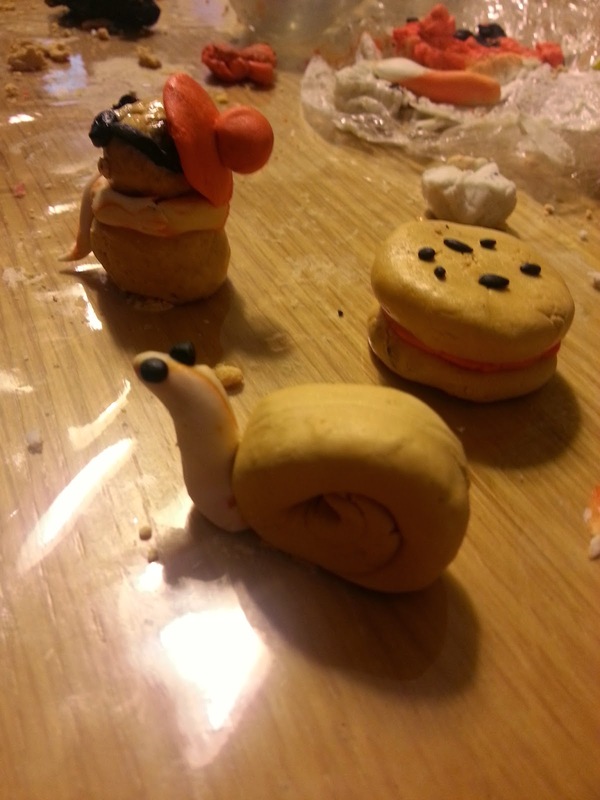 Or maybe a soapman is a better description. And so we decided to take a chill pill and relax one corner to let the others have a go at it first. 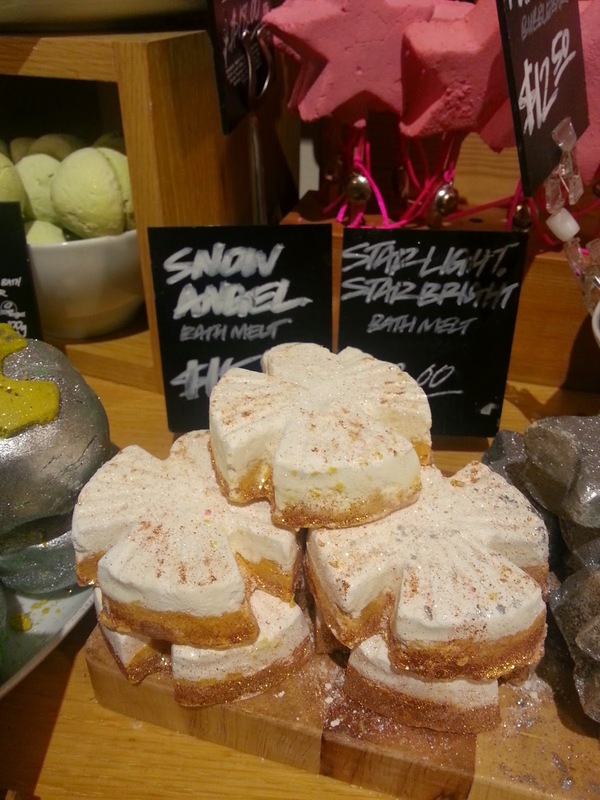 They totally ran out of white and the Lush staff brought out the gold one (honey flavoured) instead. 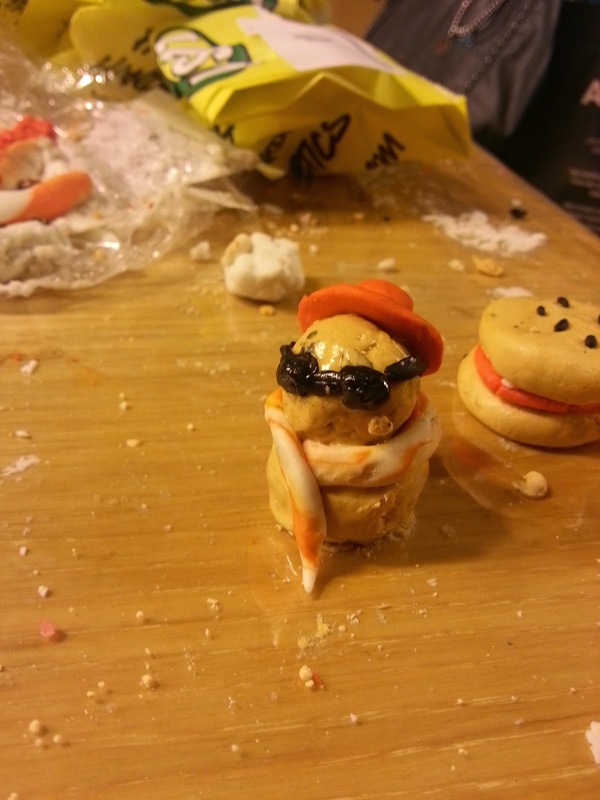 And Cynthia made a very melty tanned snowman. Hahaha! 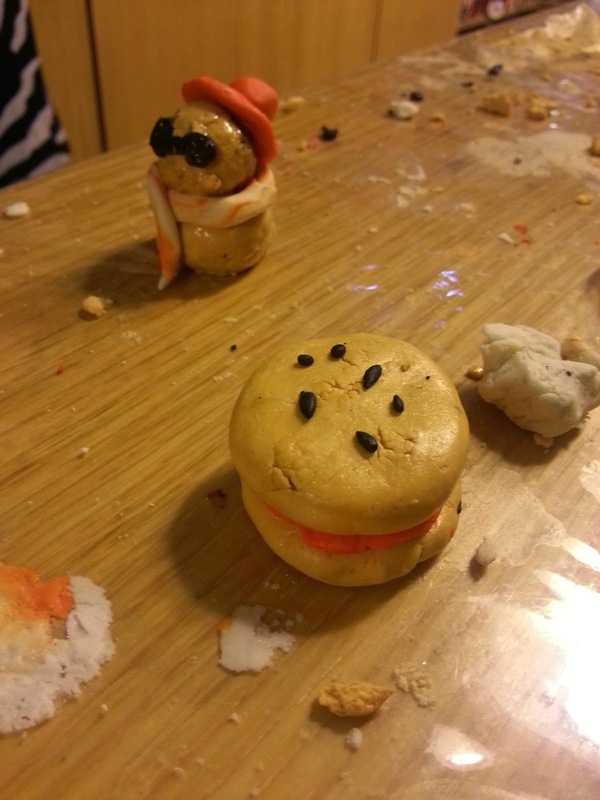 Her hands were warmer, which is why the more she mould, the meltier her snowman became. Oyhz's creation was a heart shape and we all forgot to snap a picture of it before she popped it into her paper bag. And yes, for the fun soap, keeping them in room temperature (since SG is hot and humid) will make them melt. So if you want to keep your Fun soap hard, do keep them in a ziplock bag and pop them in the fridge. 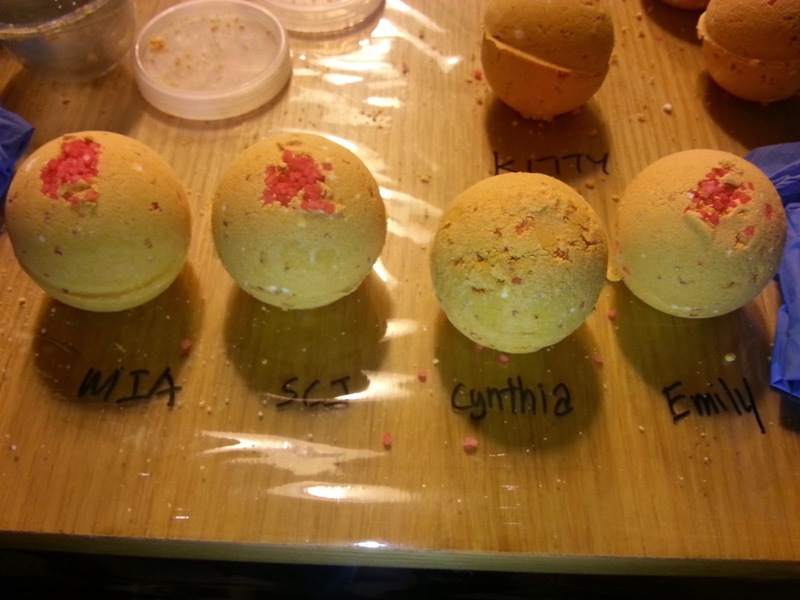 And now, for my mini Lush giveaway! 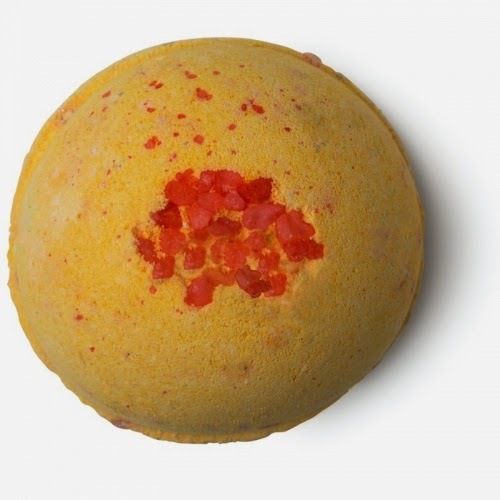 Yes, it's one Cinders bath bomb and one bar of Snowcake soap for one lucky winner! I've decided to make this a simple giveaway for my instagram followers! Just head over to my Instagram (follow the link), follow, look for my Lush giveaway post and tag your Lush-loving friends in the comments! Giveaway shall end on 24th December 11:59pm! oh my god! what was that? Super super wish I could go! Haha, I have another friend who attended the event too. I was too busy with my blogger's friend wedding to go! :( Too bad! SEE YOU AROUND! Bath soap and bubble bath at the same time? Really easy to make this kind of soap. 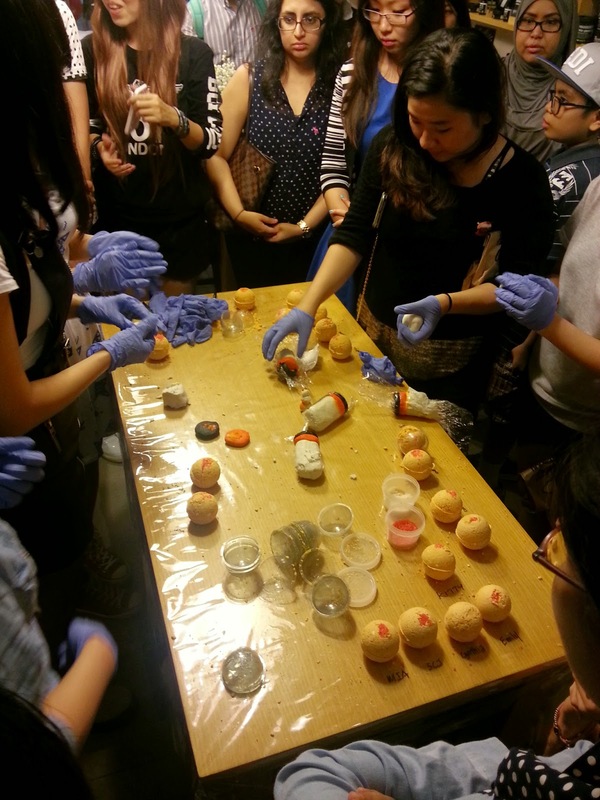 People nowadays can do soap making at their homes. I am not really a fan of LUSH stores since their perfumes tend to be too strong for my nose and even for my wife's nose. 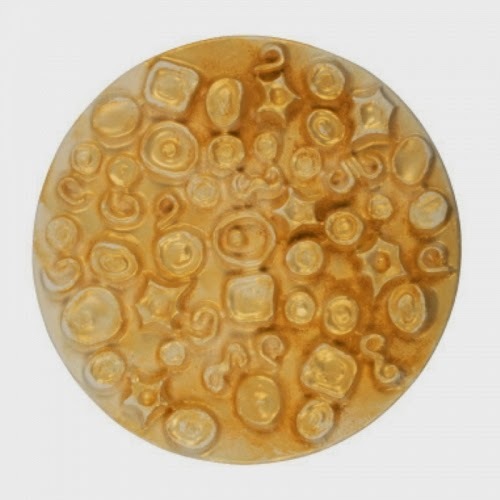 But these edible looking soaps look to good to be used. Looks like you have a blast. Nice burgers you've made there. Cynthia and Emily are just creative. 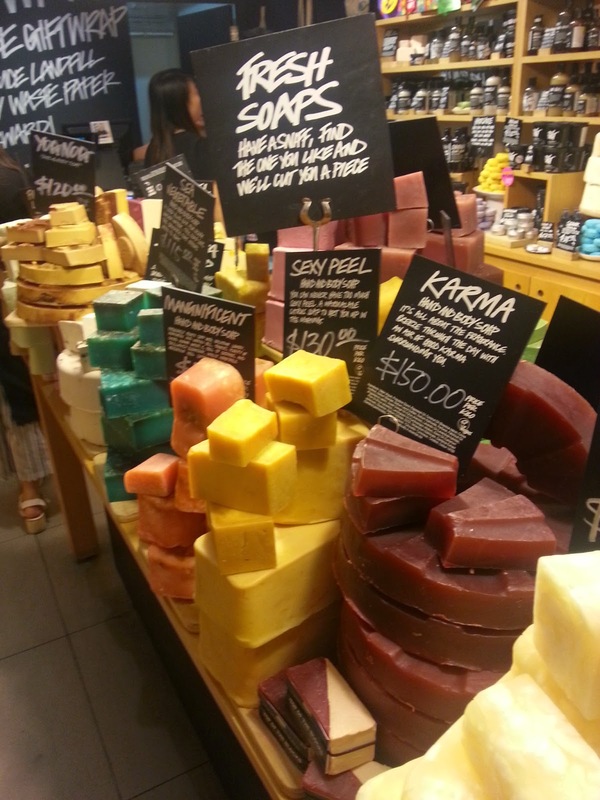 Though Lush is a soap store, on most days it makes me think that they're a candy store. It's because of all the colorful stuff they sell. I have yet to try a product from Lush. 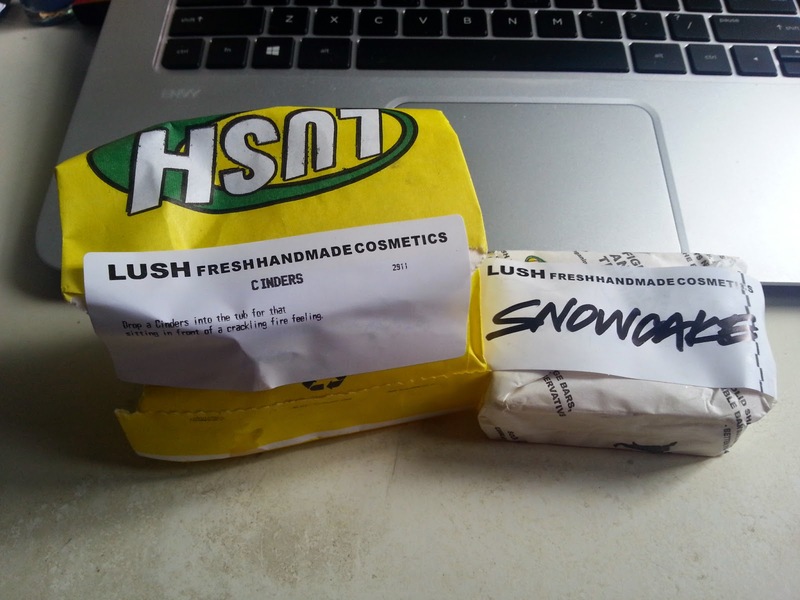 That snowsoap idea is so cute! Too bad you didn't get to make yours! And your friend's snowsoap looks a bit unfortunate with the extra tan. I've been inside a Lush store here in the Philippines and I love how they really offer unique looking bath soaps. The scent of the store is addictive! Haha! But I never went home with one for I find it too costly for a bath soap. I guess I'm just not their market. What a fun night that would have been! And your snowmen is super cute! The service at this place was impeccable. The salad I had for dinner was delicious as well as the scallop appetizer. The main course of filet mignon and dessert soufflé was also awesome! You gave me a good idea. 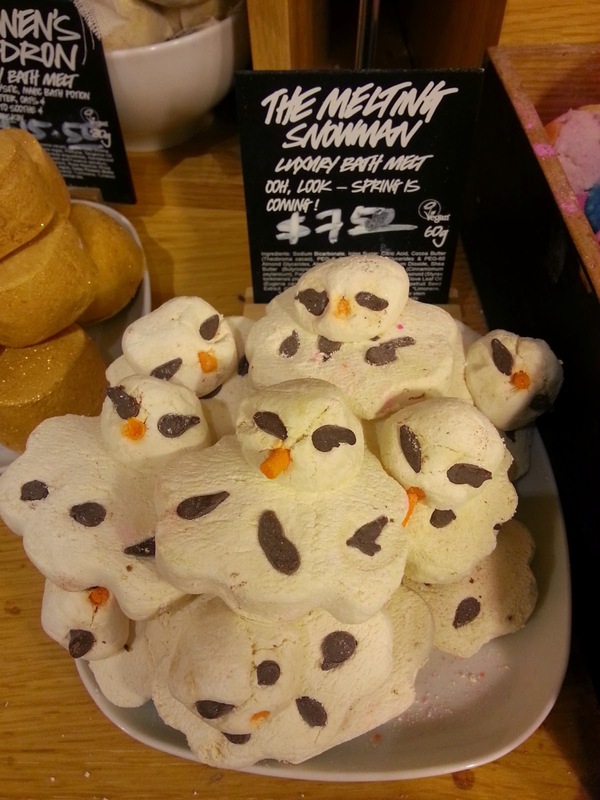 Lush items can be excellent gift ideas. So fast it is Christmas month. But too bad i have yet to hear from any invitation to Christmas event. For a moment, I thought I was in a bakery. That is amazing and something to keep away from children. Wow, everyone seems to be enchanted with the Christmas spirit and your lovely photos prove that. 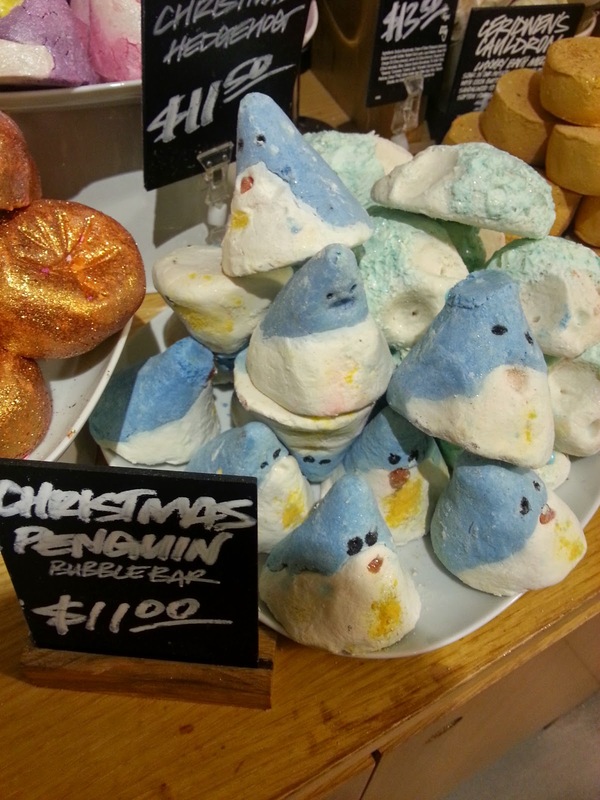 Christmas vibes are in the air, I would love to try the awesome the yummy flavors for my bath tub indulgence! 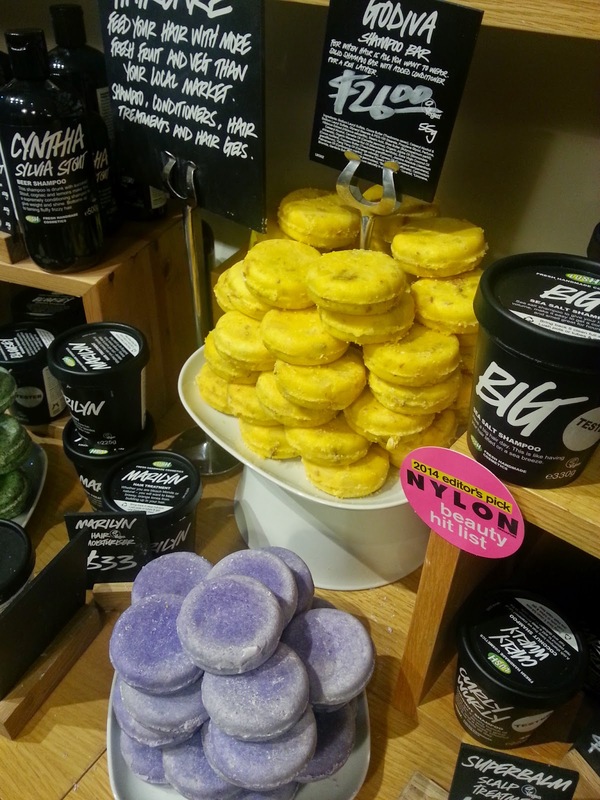 I love the look of Lush products. Their design is so fun. 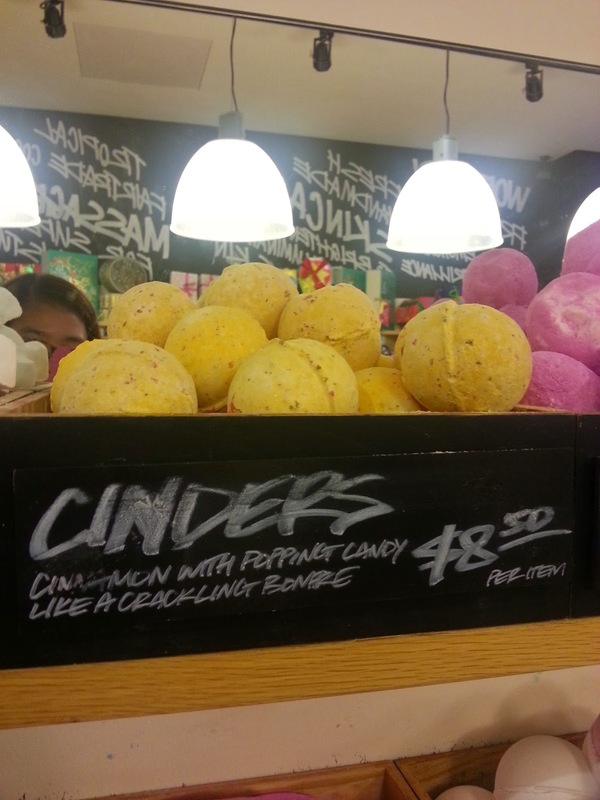 Love Lush! I use their Almond Scrub and their Charcoal Soap. Works its Magic on my skin! OMG!! I wanna try some Lush products! >< I heard so much about it, but never get to try one! i was there but too bad i couldnt makeit to the workshop! !its so fun! Sounds like a good event. It must be really fun creating your own skincare and bathroom products.